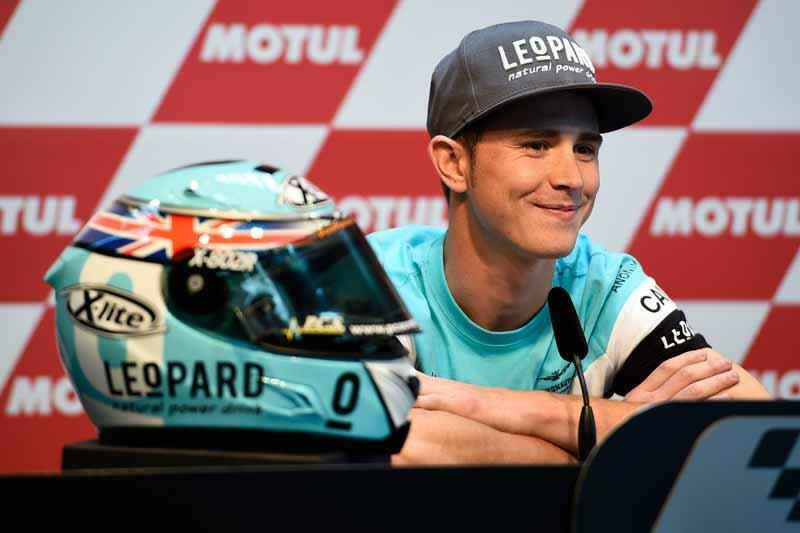 On Sunday night we'll finally have the answer as to whether Danny Kent's quest to end Britain's 38 year wait for a Grand Prix world champion will end with the 21 year old claiming the Moto3 title. The start of the season was a tour de force for Kent and until his home Grand Prix he looked to be heading comfortably towards the crown but since then closing the title has been a struggle for the Leopard Racing rider. "It's down to the final race," said Kent in Valencia. "We have a 24-point lead and everyone is asking whether I have pressure on my shoulders because we've had four chances to clinch the title. You know, all we have to do is to stay out of trouble and finish in the first 14. I hope we can do that. It's not over until it's over. "In racing anything can happen but I'll just be happy when I can get Sunday over and done with. We've had a lot of people in the media saying that I can win in the last four races and there's been a lot of pressure and people asking, 'Are you going to do it here? Are you going to do it there?' I'd rather win it later than never." In the last five races Kent has crashed twice and not finished on the podium. It's been his most difficult stretch of the year at the time where there's been the most attention focussed on him. When asked how he would approach this weekend' race, where he only needs to finish 14th to claim the title, Kent said that planning a race in Moto3 was one of the things to do in racing and that it's almost impossible to fully plan a race in the class. "You can't really plan a race. You can go from one lap being in first to another lap being in tenth. Luckily this track isn't like Phillip Island, where you can come out of the last corner in first and go into turn one in tenth. The main thing this weekend is to work hard on our race pace. We've shown in some races that we're able to pull away. This is one of the race tracks where you're able to do that. "The plan for me is to work on my own pace and try and stay out of trouble. It's quite simple. There isn't a lot of maths in it. We have to finish inside the top 14 and that's if we win the race. If he doesn't win the race [we're champions]… he is in great form at the minute. He's been very strong in the last couple of races so there's a very good chance that he could win the race. It's a track that I really enjoy."